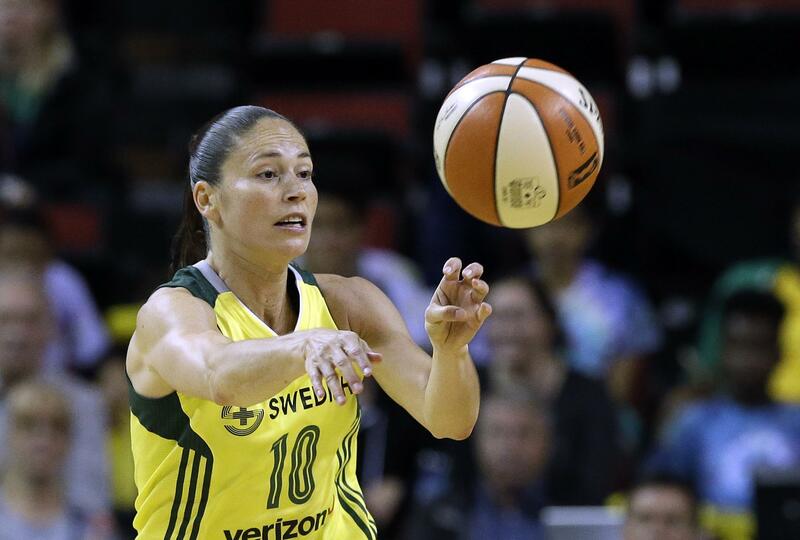 ROSEMONT, Ill. – Breanna Stewart scored 29 points, making two free throws with 15.6 seconds left for a three-point lead, and the Seattle Storm beat the Chicago Sky 85-80 on Sunday. Seattle rallied to take a 79-78 lead with 3:11 left as Jewell Loyd’s open 3-pointer from the corner capped a 9-0 run. After Stewart’s makes, Allie Quigley curled around a high screen but her long 3-pointer was off the mark. Seattle’s Noelle Quinn sealed it by making two free throws with 11.2 seconds left. Loyd added 25 points for Seattle (15-19), which plays at Phoenix on Wednesday night in the first round of the playoffs. Stewart made 10 of 12 at the stripe as the Storm only missed three free throws in 27 attempts. Kahleah Copper paced Chicago (12-22) with 18 points. Former Gonzaga Bulldog Courtney Vandersloot set a WNBA record in the third quarter for the highest single-season assists average. Her eight assists per game surpassed Ticha Penicheiro’s 2002 mark of 7.9. Vandersloot set the record with her seventh assist of the night, finding Jordan Hooper for a 3-pointer in transition for a 69-65 lead. Published: Sept. 3, 2017, 6:58 p.m.